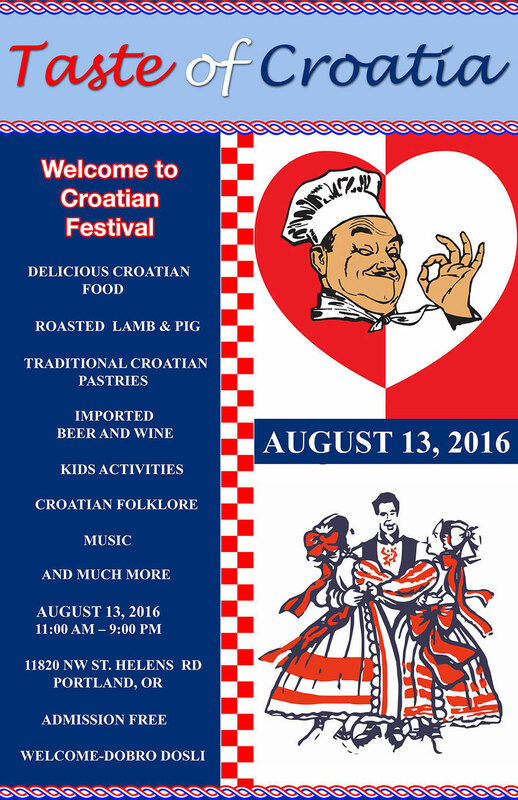 The Taste of Croatia festival takes place Saturday, 13 August 2016 at the St. Birgitta Catholic Church in Linnton (11820 NW St. Helens Road, Portland, OR) from 11 AM to 9 PM. Enjoy delicious Croatian food including roasted lamb and pork, traditional pastries – plus imported beer and wine while taking in Croatian folklore, music, and much more. There are kids activities too. I am Caregiver for an elderly Croatian. I am seeking a Portland Croatian Community Activities to bring her to—- she needs people to speak to in Croatian. Please tell me where to go.